OPEN APEREO 2017 (June 4 - June 7) will be held at the Sheraton Society Hill Hotel in Philadelphia, PA.
Malcolm Brown has been Director of the EDUCAUSE Learning Initiative since 2009 and has initiated major ELI undertakings such as its Seeking Evidence of Impact program and the Learning Space Rating System. Prior to assuming the ELI directorship, he was the Director of Academic Computing at Dartmouth College, overseeing a team active in instructional technology, research computing, classroom technology, and pedagogical innovation. During his tenure at Dartmouth, he worked actively with the ELI, contributing chapters to the EDUCAUSE eBooks, helping to plan focus sessions, and serving on the ELI Advisory Board. He has been a member of the EDUCAUSE Evolving Technologies committee and was the editor for the New Horizons column for the EDUCAUSE Review. He has served as a faculty member of the EDUCAUSE Learning Technology Leadership program. He has been on the Advisory board for the Horizon Report since its inception in 2004 and served as Chair of Board of the New Media Consortium. Malcolm holds a pair of BA degrees from UC Santa Cruz; studied in Freiburg, Germany, on Fulbright scholarships; and has a PhD in German Studies from Stanford University. He has taught several academic courses on Nietzsche and maintains the Nietzsche Chronicle web site. He is a member of the Frye Institute class of 2002. He has given presentations in Japan, Australia, and the United Arab Emirates; and has spoken most recently at Columbia University, Penn State, and the University of Minnesota. He hosts the ELI webinar series and presents on the EDUCAUSE Live! webcast. Apereo is a network of institutions like yours, where you can share experiences, learn from the experiences of others, and discover new collaborators. Apereo supports software used in thousands of educational institutions worldwide. Software developed and maintained by the Apereo Community include: Sakai, CAS, uPortal and uMobile, Open Academic Environment, Bedework, Student Success Plan, Opencast, UniTime, and Xerte. In addition, Apereo's incubation process supports new projects as they find the path from innovation to sustainability. Learn more about Apereo here. WHAT'S INCLUDED? The Full Registration fee for the Open Apereo Conference, includes all conference sessions (Monday through Wednesday at noon; Pre-Conference sessions can be booked on Sunday for an additional fee), breakfast (Monday-Wednesday), lunch (Monday-Tuesday), refreshment breaks each day, two receptions, and all conference printed materials and promotional items. PAYMENT POLICY: Payment for the full amount of registration fees must be made prior to or on the first day of the conference. To qualify for the early registration rates, your registration form AND payment must be received no later than May 5, 2017. All registrations received or unpaid after this date will be processed at the regular registration rate. CANCELLATION POLICY: All cancellations received on or before the cut off date of May 5, 2017 are eligible for a refund of fees paid, less a 10% cancellation fee. Cancellations received between May 6 and May 22 are eligible for a 50% refund of fees paid. No refunds can be issued after the May 22 deadline. These days, higher education seems to be constantly buffeted by inflection points. Out of this swirl, one important thread that has emerged is that of student success. Student success consists of a diverse set of components or dimensions, such as course/degree completion, relevant and affordable academic pathways, high impact experiences, and improved ability to learn. Digital learning environments are the key strategic enablers of all of those dimensions and so are foundational to student success. Student success is further diverse in that no two student pathways to success are identical. This means that our digital learning environments must be agile, flexible, and robust. This session will present a vision for the next-generation digital learning environment and offer the opportunity to engage in discussions on how best to move forwards towards a new digital architecture. The Tsugi project is providing technology to enable a wide range of educational technology use cases. Initially, Tsugi was developed to simplify the development of educational tools and to allow those tools to be deployed in an "App Store" pattern using IMS Learning Tools Interoperability (1.1 and 2.0). More recently, Tsugi has added support for IMS Common Cartridge, IMS Content Item, and a Lessons capability that allows Tsugi to function as a Learning Object Repository that is easily integrated into existing LMS systems. Tsugi is also evolving into an easy-to deploy Learning Management System focused on supporting a web site for a single class or topic. We call this use case a "MOOC of Our Own". Tsugi can both support individual deployments as well as institutional-scale deployments. This workshop will walk through a Tsugi installation and configuration and experiment with using Tsugi as both an application development environment, a Learning Object Repository, and an Application Store. Many of these tasks have changed with the new version -- be among the first to experience the diminished “learning curve” and discover all the exciting new features! This workshop is suitable both for those new to uPortal and those thinking of upgrading to uPortal 5 from a previous version. This workshop provides a comprehensive introduction to the Opencast (http://opencast.org) open source video management system. Opencast is designed for large-scale lecture capture systems and can also be used to orchestrate video processing, management and distribution for other video applications through flexible workflows. The workshop will provide an overview of the Opencast architecture and features, present some case studies from Opencast adopters, and examine how Opencast can address different video use cases raised by participants prior to and during the workshop. Experience a variety of open source templates for using the Karuta Open Source Portfolio for learning, assessment, reporting, and/or showcasing. Consider LTI integration of Karuta with your instance of Sakai or use Karuta as a stand-alone portfolio platform. Review a selection of Karuta use cases and get an update on the many enhancements in Karuta 2.2. This session is ideal for faculty and instructional designers considering a portfolio pilot at the course, program, or institutional level. ​Learn to customize the Karuta Open Source Portfolio. No coding required! Bring your laptop for extensive hands-on training in customizing Karuta for a simple learning and assessment portfolio. This session is ideal for faculty and instructional designers with a beginning level of technical skill interested in customizing a portfolio to support learning at a course, program, or institutional level. Soffit is a technology for creating content that runs in Apereo uPortal. Soffits are new for uPortal 5, and intended as an alternative to JSR-286 portlet development. Java Portlets have grown “long in the tooth:” JSR-286 was released almost a decade ago; the Portlet Lifecycle is fundamentally based on a full-page-per-click paradigm; portlets must run in the same servlet container, same JVM as the portal. Soffits aim to be a general-purpose alternative to portlets, allowing you to build all the same sorts of content and widgets that portlets do, but without the drawbacks.Soffits run in their own process (optionally on their own host); A soffit's interaction with the portal is HTTP-based. They can be written in any language, for any platform; but the creators of Soffit expect to develop them mostly with Java & Spring Boot. This workshop covers the essentials of how Soffits work, as well as important topics like accessing user and/or portal data, configuration, caching, and security. We will walk step-by-step through the process of creating a new Soffit using Spring Boot. If you are planning to get started with a CAS deployment, this is the intended workshop session for you. The session will focus on the features, configuration options and build/deployment practices of the Apereo CAS server release and the path to their adoption for existing deployments. We will of course be conducting a hands-on session walking deployers through a series of dynamic build/deployment exercises and depending on availability and time, may also delve into integration strategies with client applications. Specific topics for the session are authentication, authorization, principal resolution and attribute release, managing service registrations, multifactor authentication, protocol support and more. This seminar will explore the latest Grouper release, demonstrate a variety of real world use cases, and review the much anticipated TIER Grouper Deployment Guide which is slated for release in April 2017. The deployment guide aims to distill diverse community examples into specific TIER guidance and recommendation for achieving a variety of identity and access management capabilities. This half-day workshop will cover various best practices across all the main components of UniTime (course timetabling, examination timetabling, student scheduling and event management). While the workshop will introduce UniTime and the core concepts of computer-aided educational timetabling, we will focus on some of the most important aspects that need to be considered when implementing UniTime at an institution. Some of the topics we would like to cover during the workshop: installation, initial setup, data exchange and roll forward, problem modeling, authentication & user roles, application tuning & customization, reporting, or running what-if scenarios. A special demo instance of UniTime will be available during and after the workshop where the participants will be able to interact with some of the material covered during the workshop. We hope to do some hands-on during the workshop too. The Experience API (xAPI) expands the possibilities for learning analytics by providing the common means for systems to communicate with each other about learning activity. While xAPI makes it possible to acquire data about learners’ activities, this information provides little benefit if one cannot design to acquire meaningful data, interpret that data, or improve the learning design based on the insights gained from such data. Fortunately, Profiles are becoming available accelerate best practices and remove obstacles in creating and analyzing meaningful data. In this workshop, participants will explore how to work with xAPI and a growing index of profiles as well as gain an understanding of basic principles of using data effectively and designing to provide meaningful feedback. Participants will apply these principles in determining a data strategy to support particular learning outcomes. Open Apereo 2017 will be held at the Sheraton Society Hill Hotel in Philadelphia, PA.
Group rate available through May 19 at 5:00PM Eastern - BOOK NOW! Use the booking link above or call Sheraton Central Reservations at 1.800.325.3535 (US toll free) to book your room, referencing "Open Apereo 2017" as the group code. Please note that the Apereo Foundation is obligated to fulfill certain contractual obligations with the Sheraton Society Hill Hotel by having attendees fill a set number of guest rooms. By staying at the Sheraton Society Hill Hotel you help to ensure that funds go toward the event and the organization's mission, not toward paying for empty hotel rooms. Additionally, we've heard time and again how valuable networking and "hallway conversations" are to attendees of Open Apereo and it's sister events. 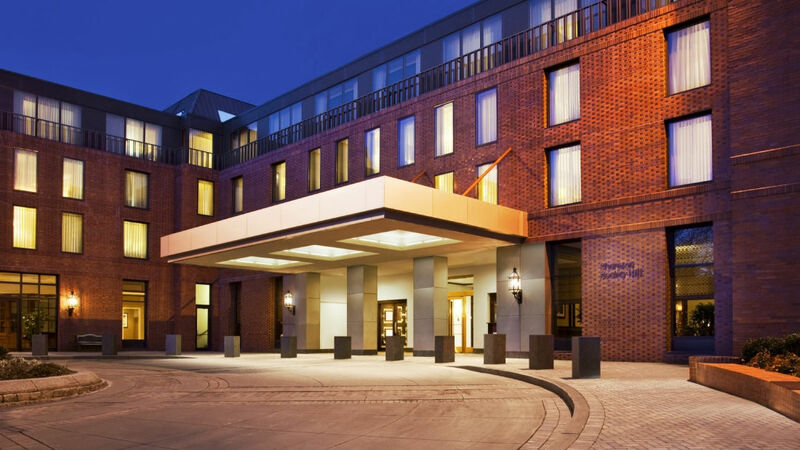 By staying at the Sheraton Society Hill Hotel you greatly increase your odds of having those kinds of meaningful interactions when moving around the hotel during the event. The Open Apereo Conference is a great opportunity to socialize and network with your professional colleagues. We have organized a few social activities and networking events, to do just that. Some of the events below require a sign-up during the registration process. Visit the Open Apereo 2017 Registration Site to register today! All selections and payments must be finalized by Friday, May 26. More details regarding each event (i.e. where to meet up, time to depart from the hotel, etc.) will be sent out via email, closer to the date of the activity. PHILLIES BASEBALL Join your fellow Apereo attendees at a Phillies game on June 3rd (Sat.) at 4pm. Ticket price: $50 per person for June 3rd (Sat.) Youth Baseball Theme Night. Your ticket includes admission to The Avett Brothers Postgame Concert. OPEN APEREO WELCOME RECEPTION Join us the evening of Sunday, June 4th to kick off the start of Open Apereo 2017. Location details provided in attendee materials. SHOWCASE RECEPTION The Showcase Reception is a great opportunity to visit with colleagues and absorb new information from the Apereo Community. ESCAPE ROOM Each team has 60 minutes to solve a puzzle to “escape” the room. Cost is $30pp. Start time: 6:30pm. An attendees perspective: "I’m here to tell you, yes you, that you should join us at Open Apereo 2017 in Philadelphia June 4th – 8th. Why though? Well, as someone who only attended last year by accident (a friend invited me to join him in his presentation) I can say that I was overwhelmingly impressed by the event. I attend a lot of education / ed-tech / Drupal events, and Open Apereo was by far and away my favorite event I’ve been to; right up there with DrupalCon, OpenEd and UniversityAPI UnConference." Ad Hoc Meeting Rooms: There will be three rooms (Locations TBD) available Monday, Tuesday and Wednesday for ad-hoc sign-up usage. We will have sign-up sheets on the doors of the rooms, during conference hours. These rooms will be available on a first-come, first-serve basis. Lightning Talks are fun, five-minute presentations, clumped together for an exciting and fast paced way to share and gather new information. Lightning Talks are scheduled at 3:45pm, both Monday and Tuesday. Come share your knowledge, tricks and techniques or join us in learning from others in the Apereo Community. Philadelphia is a great place to visit with plenty to do and see. We have organized several social events for the Apereo Community (see the Events tab). If you are interested in organizing additional activities on your free time, be sure to check out the Visit Philadelphia > Society Hill website. Please CLICK HERE to access the Open Apereo 2017 Presentation Slides. Open Apereo 2017 takes place from June 4th – 8th, at the Sheraton Philadelphia Society Hill Hotel. The conference will showcase the work of Apereo communities, provide networking opportunities for participants, and will feature keynote speakers from the broader higher education community. Open Apereo is the primary face-to-face networking event on the Apereo calendar. It’s a great place to meet, discuss, and build partnerships that have a positive impact on the education landscape. The event depends, to a significant degree, on commercial sponsorship. Sponsorship lets us keep the registration fee low and encourage attendance by our diverse and distributed community. If you are interested in participating as a sponsor or obtaining more informaiton, please email us at conference[at]apereo[dot]org. Thank You to our Open Apereo 2017 Sponsors!